Why Having More Loaded Firearms In US Classrooms Won’t Stop School Shootings? ● President Donald believes that “highly trained" educators armed with guns, might prevent further school shootings in case of emergency. ● Spending extra funds to ensure "expert teachers" get special training to carry guns in the classroom will be supported. ● The study published in the Community Health Journal and Community College Journal suggest that having more guns in schools won't help prevent mass shootings. The scientists believe other preventative strategies must be used. Previously, Trump proposed some controversial arms-related policies, which included raising the minimum age for purchasing assault weapons to 21. That proposal has fueled the pushback from the National Rifle Association (NRA). This time, the proposal of getting more loaded firearms into classrooms looks even more controversial. Creating the nationwide formation of "highly trained" teachers and security guards carrying around concealed weapons at school. Why Is Arming Teachers and Guards a Bad Idea? The Harvard research supports the following trend: where there are more guns there is more homicide. The trend is true not only for schools but across the globe, which is proven by another cross-national study. The conclusion is transparent: carrying guns, knives, and other arms is a risk factor leading to violence and injury, especially in young people. There is enough evidence proving that states with conceal-carry measures supported by the law have higher violent crime rates. Which Strategy Can Prevent School Shootings? There is a Germany experience might be helpful for the USA. The period of 1999-2012 was marked by a number of deadly school shootings in Germany. However, the educators there chose an option other than carrying guns. The teachers engaged in the training program which helped them tell the “leaking” behaviors suggesting that a student might be planning a violent attack. Any signs including the written, spoken or drawn hints about students’ violent fantasies or intentions were carefully scrutinized. This way, within 7 months from the beginning of the program, 19 high-risk cases were identified. The students with psychological issues were offered help. 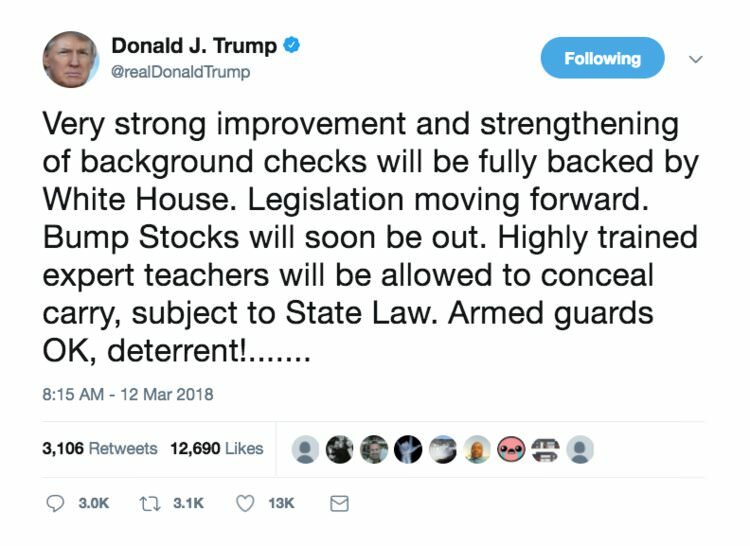 As of today, the President’s “armed teacher idea” is in the stage of a proposal. Still, other ideas like training teachers, school staff, and students to identify the early signs of violence are also floating around. As for the state level policies, the lawmakers are taking targeted gun-control measures. For instance, Oregon became the first state to put a new gun-control bill in action after the Florida shootings. Under this law, the people convicted of stalking or domestic violence, are prohibited to purchase and own guns or ammunition. Shocker: 1,23M “Boomerang Kids” Are Never Leaving Their Parents’ Homes!